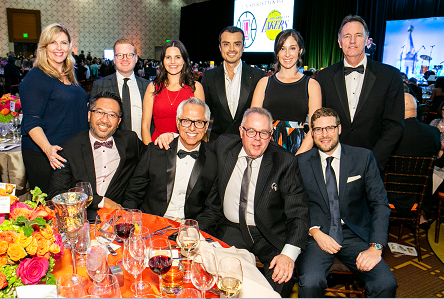 Cerrell was a sponsor at the recently-held “La Grande Affaire” fundraiser for California Hospital Medical Center at the LA Live Marriott. The Cerrell team has been working with CHMC and other Dignity Hospitals and CHI of Denver for nearly a year on the biggest hospital alignment in U.S. history. Our special guests at the event included Dignity communications executive and former Cerrell VP Dan Loeterman; Tracey Hernandez, president of the LA Business Federation (BizFed) and Richard Zaldivar of “The Wall Los Memorias Project.